When I brought in the papers just now, Howard and I realized something. Surely we are the last two people in the world to know who won the Super Bowl! What teams were even in it? Earlier this morning I was checking out this one priest's Web log I kind of follow and he made mention of the Bears. There was a Bears fan at Mass, he wrote. I am thinking the Bears must be one of the teams. But where are they from? Somewhere I picked up mention of Wisconsin. Is Wisconsin in the Super Bowl? I thought the teams came from cities, not states. Wait! The priest mentioned the Packers. That would be the Green Bay Packers. The Super Bowl from a priest's perspective. Or a brother, or whatever he is. This is the nerdiest post I have ever written! Well, I have this long Monday ahead of me. I do not have time to scrutinize the Super Bowl as if it were Pennario playing Chopin. There is one thing I think is funny about the Super Bowl. It hits me every year. 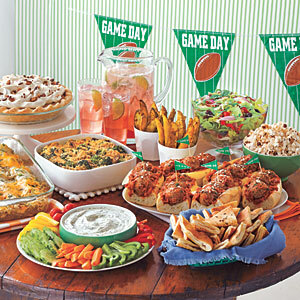 Every year, cooking magazines are all about Game Day. There are spreads you make, dips you make, stews and chili. What this tells me is, this is how women deal with the Super Bowl. This is what gets them through it. They try to design this perfect menu around it and cook all these glossy recipes. As if the guys know the difference. As if your husband or boyfriend is going to go, "Honey, what a wonderful Broccoli-Mushroom Casserole. And the Spicy Roasted Potato Wedges!" Ahem. Back to Super Bowl 2011. I am lucky, I guess, that I do not have a sports husband. Though if I were single and met a great guy who liked sports, I would not let that be a deal breaker. I would learn to get by the way all these other women do, by cooking. There are few things in life that food cannot get you through! This is the actual dip that we ATE last night!! !